Dogtra produces the world's finest e-collars. Dogtra's focus is on offering user-friendly e-collars that are designed for the most demanding training conditions. Dogtra offers a complete line of e-collars from small-breed pet trainers to a variety of sporting dog units as well as K-9 Police work. Astute trainers with proper training tools are the key to unleashing your dog’s potential. Dogtra has collaborated with industry professionals to create class-leading tools for e-collar training, GPS tracking, and ball training to support dog owners in developing top-notch dogs. 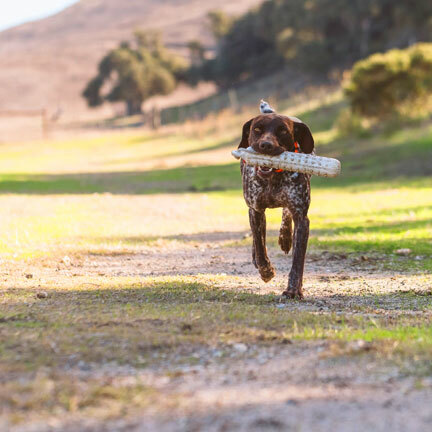 Trusted by professional dog trainers, K-9 officers, and hunters, Dogtra enhances your training journey with durable training products, equipped with patented accurate and intuitive control, to ensure the best experience.